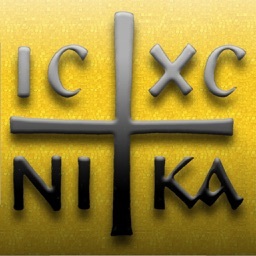 • The Catholic liturgical calendar for every year (until the year 2300 and beyond!). Over 20 local calendars including USA, Canada, Australia, New Zealand, South Africa, Ireland, India and Singapore, and most of the dioceses of the UK. 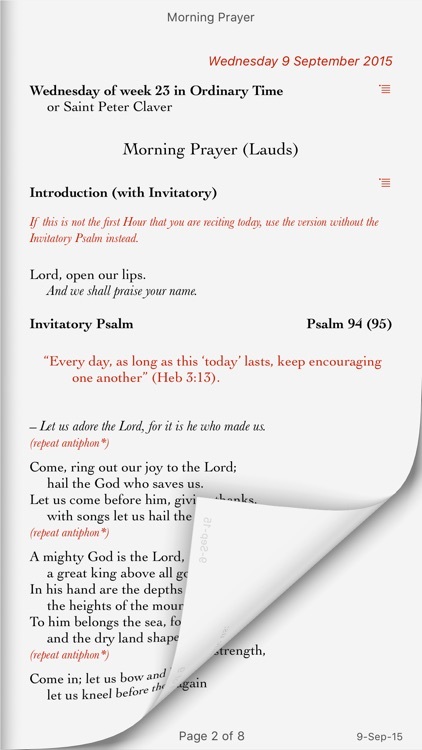 • The Order of Mass page gives you the full Order of Mass, with all the alternatives. 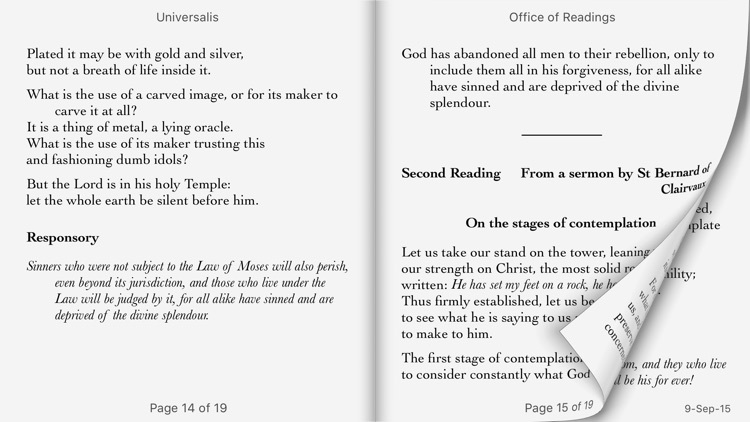 •• The Readings at Mass page, with the readings, psalms, prayers and antiphons for the day’s Mass. The readings are the Jerusalem Bible version with the Grail psalms, except for the USA and the Philippines, where they are from the New American Bible. 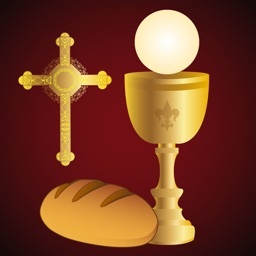 •• Our unique Mass Today page with the Order of Mass and the prayers, readings and so on, all merged into one single sequence, so that you can follow Mass; or even celebrate it if you can find a discreet place to put the iPad on your altar. 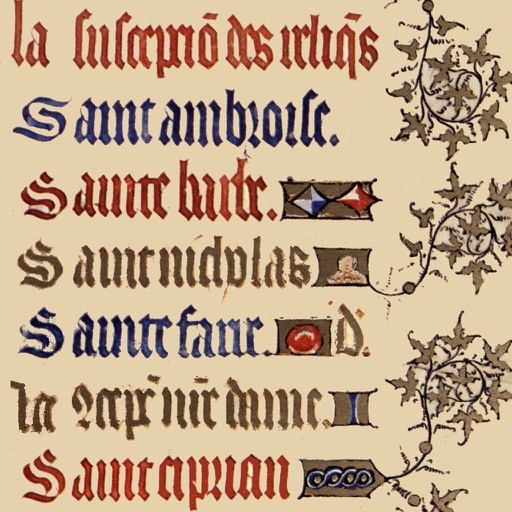 •• The Liturgy of the Hours, including Morning Prayer, Evening Prayer, Night Prayer, the three daytime Hours, and the Office of Readings. The scripture readings are from the Jerusalem Bible and the psalms are the Grail psalms. 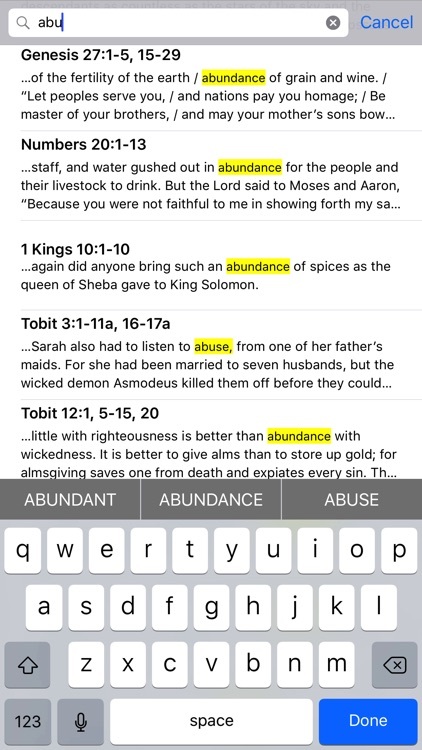 •• The ability to search for words and phrases in the scripture readings and psalms on these pages, see the words in context, and go directly to the dates when they are used. 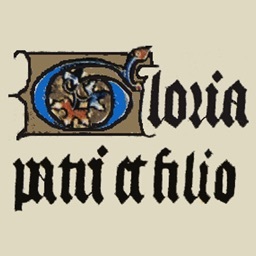 • Music: you can listen to the Salve Regina and the other Marian anthems at the end of Night Prayer, and an in-app purchase will give you the whole of Sung Compline in Latin, from the Schola Cantorum of the London Oratory School. 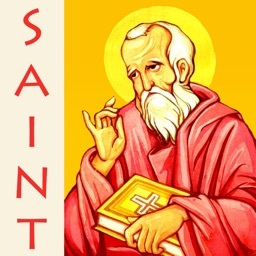 • You can listen to the Angelus spoken in English or Latin, free. •• You can optionally subscribe to other spoken content, including the Gospel for each day's Mass; all of each day's Hours; and a Latin version of the three daytime Hours (the subscription renews itself monthly but you can cancel it at any time). 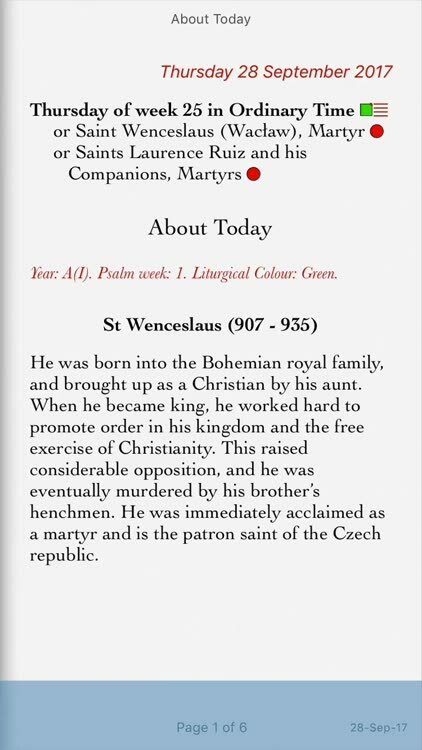 • If you have an Apple Watch, you can see the week’s calendar and Mass readings; and a Glance is available to show you today’s feast. • You can choose between turning pages like a book or scrolling like a web page. You can choose fonts and font sizes (including huge ones for the partially sighted) and you can turn on a night mode for reading in the dark. Everything is permanently built in to the app. You do not need an Internet connection. 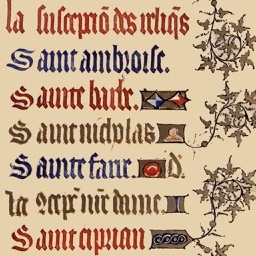 If you choose to subscribe to the Liturgy of the Hours and Mass texts for £0.79 / $0.99 / €0.99 per month or the spoken Gospels at Mass for £1.99 / $1.99 / €2.49 per month or spoken Liturgy of the Hours for £2.99 / $2.99 / €3.49 per month (prices in other countries will vary), payment for a month's subscription will be charged to your iTunes account immediately. Subsequent monthly renewals will be charged within 24 hours before expiry of the current period. You can turn auto-renewal off at any time. If you turn auto-renewal off in the middle of a period, you will not get a refund but you will receive the benefit of the entire period and your subscription will then stop. 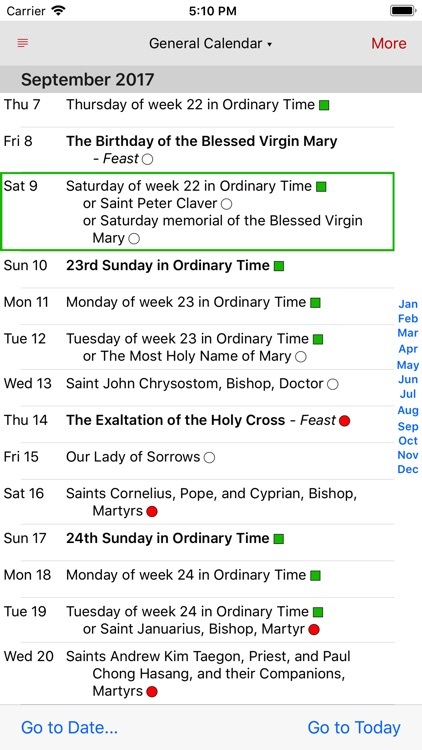 Without a subscription you will still have all the benefits of Catholic Calendar itself: the calendar, the About Today pages, the Order of Mass, and so on.